Heat the oil in a frying pan, sauté the vegetables for approx. 7 mins., season with salt, set aside. Mix the couscous and salt in a bowl. Pour boiling water over the couscous, cover and leave to absorb for approx. 5 mins. Separate with a fork. Mix with the vegetables and dates, season. 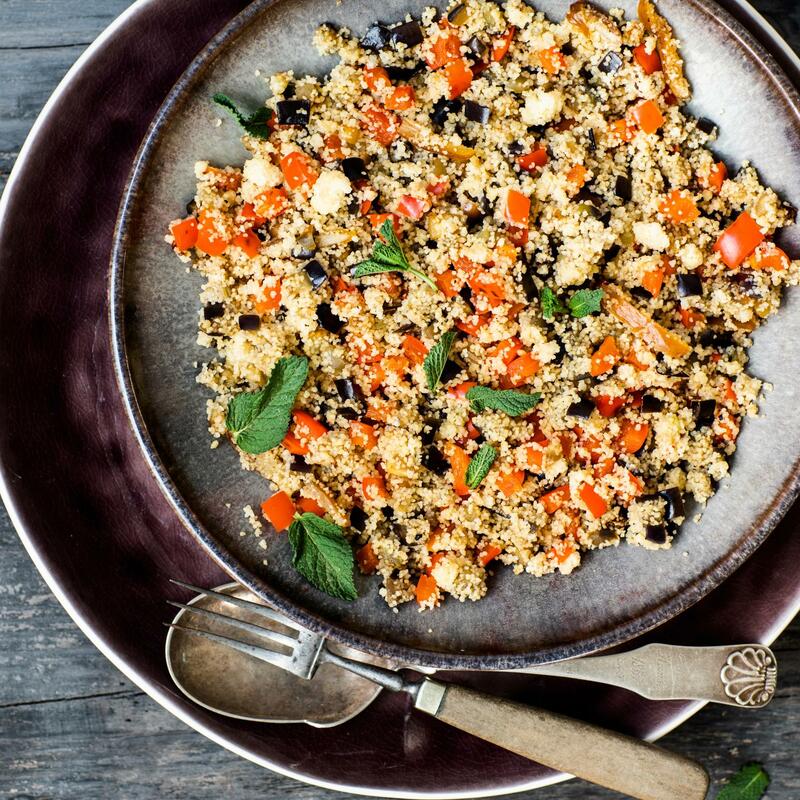 Mix 1 tbsp of finely chopped mint into the prepared couscous.